The number-one box office star of 1930, William “Billy” Haines (1900 – 1973) went on to become one of the top designers and interior decorators of the Hollywood Regency era. Working closely with architects including James E. Dolena, Roland E. Coate and A. Quincy Jones, Haines transformed the look of Hollywood. His sophisticated emphasis on balance between formal and casual and style and substance marked a departure from a previous design ethos that focused on flamboyance and opulence. Haines created sleek, timeless pieces that were the best of both form and function. Contact us to sell your Haines furniture. 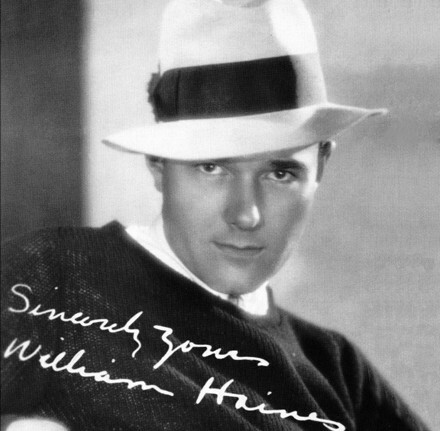 William “Billy” Haines, a self-taught designer from Virginia, was always interested in antiques and furniture but his first career was as a silent film actor during the 1920s and 1930s. 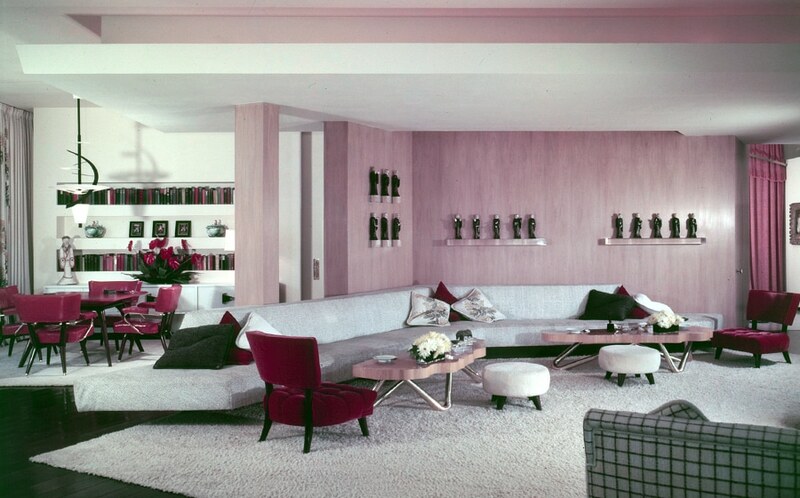 Haines largely defined and lead the Hollywood Regency decorative style with his refined combination of custom-made furniture, interiors and antiques for the homes of the film industry’s most successful personalities. Based on a plush, glamorous and romantic style, Hollywood Regency was independent of any one architectural theme, although it was a neoclassical mix of Georgian, Italianate, and Rococo. Haines distinguished the style by incorporating art and design from China, Japan, and other Asian Countries, known as Chinoiserie. While still acting, Haines opened an antique shop in Hollywood near Sunset Boulevard that established his expertise in antiques and decorative arts. He immediately received full-scale commissions from many in the film industry such as Jack Warner and Joan Crawford. For an exclusive clientele uninterested in commercial designs, Haines produced one-of-a-kind, specially crafted pieces made with the finest materials. He considered himself a decorator and furniture designer throughout his career, but always created an integrated look with the architecture, interior, and landscape. He was one of the few decorators at the time to offer full design services with an architect and draftsmen on staff. 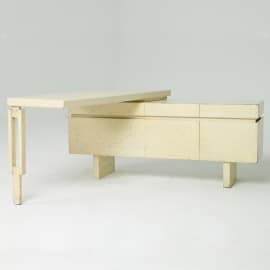 Although actual construction of furniture pieces was not done at his studio, Haines hired talented local artists, craftsmen, and workshops. 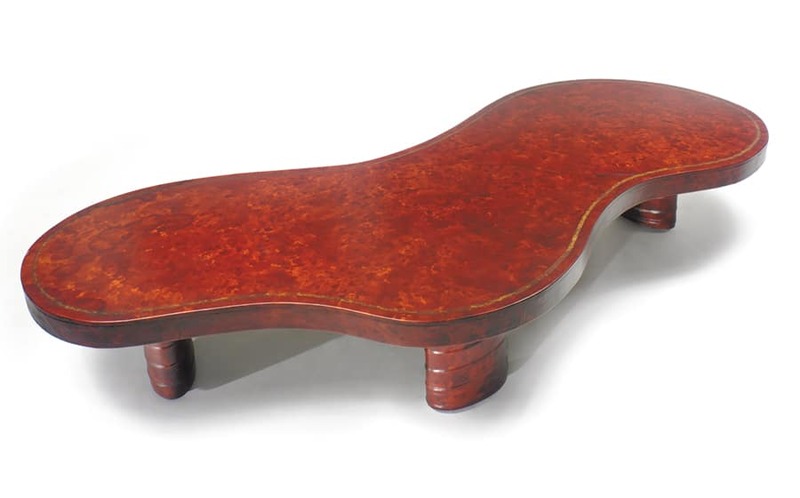 It is difficult to estimate the number of furniture pieces Haines made over his lifetime because most of the work remains with original owners. 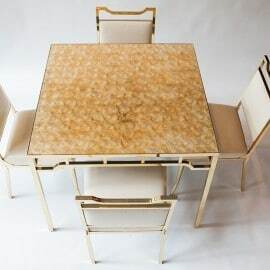 Since there was never a formal collection of furnishings, Haines created more chair designs, in response to every client who wanted custom-designed chairs for their dining tables, living rooms and other areas. Mass production was always avoided. 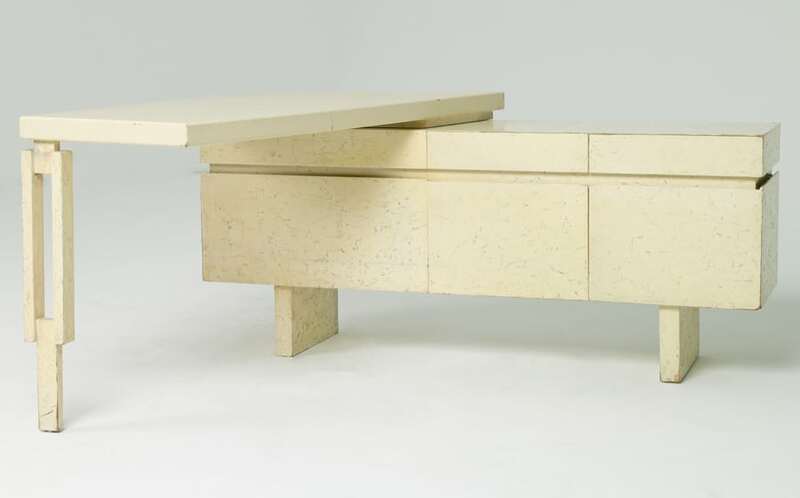 Haines custom-made furniture continues to influence interiors, with demand for his stylish Hollywood Regency pieces reaching new audiences beyond the glamour of Hollywood.